A trade show investment requires intelligence and diligence. Not only do we need to understand what we are getting ourselves into, but we also have to commit to spending the time and effort to make sure that what we are doing is right for us. So, throwing your money without really knowing how to get a good return on your investment realistically or financially is not the smartest thing you should be doing. The same holds true for a business investment in a tradeshow, and in the world of tradeshows where knowing how to promote your brand and your investment wisely, efficiently and quickly is key to having a successful show. Amazingly we see this type of reflexive spending behavior in business, especially at tradeshows, where buying the spot on the floor is far as some organizations seem to plan. On average a 20x20 spot at a trade show starts around $25,000 then add in your investment on display etc. these run $40-60,000. This is serious numbers time for up and coming business and no laughing matter for established organizations either, so it only makes sense to not only invest wisely but to take the intelligent and diligent perspective of understanding what to do and to follow through with whats next. 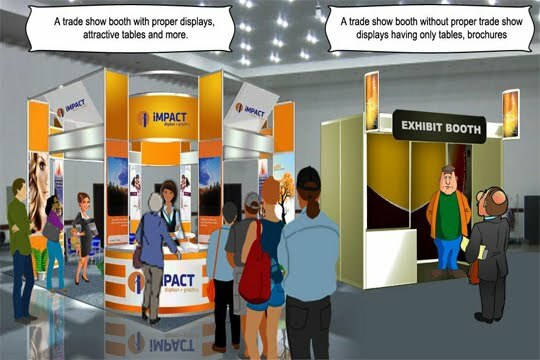 Which brings us to another key point, anyone can buy floor space at a trade show or convention center set up a table and hand out brochures but without follow up the time at the trade show is as productive as that pile of lumber without the blueprints, potentially a great investment but without proper follow through just a waste of time and resources. In a recent Linkden poll it was revealed that a staggering 69% or trade show attendees are frustrated with the lack of follow up at trade shows. The poll asked, “As a trade show attendee, what is your reaction when an exhibitor fails to follow up with you?” Of the 337 respondents, the majority said they were left with negative feelings after an exhibitor failed to follow up with them post show. That is a staggering 69% of potentially alienated clients. While a larger, established organization might absorb this potential loss for most small to medium organizations, (and even some large), this number could make or break the business for the year. So, the time and resource investment for trade shows alone can be seriously daunting. It is just as important to understand how your investment works at a trade show as it is for having that set of blueprints for your house, you cannot build successfully without a plan or direction. I think we can all agree the focus of any trade show should be effectively following your leads to convert them to clients. Regardless if it is the $350 Chamber of Commerce Expo or a $35,000 Major Trade Show Expositions. Money is money. 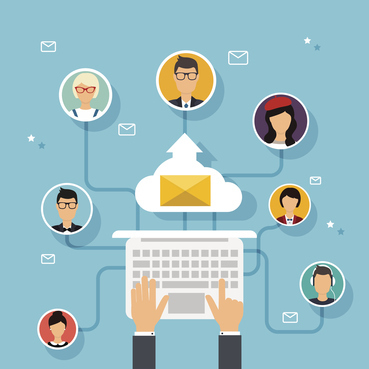 After the trade show has ended it is time to start following up on ALL your leads. A very small percentage of sales are made at the trade show itself, so if you do not follow up on leads it is like building a house with no plans. It is not going to work! At Larson & Associates our team members have spent most of their lives working in the marketing business in one form or another. Doing so has given us the opportunity to try several approaches. 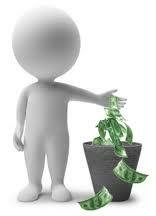 We have identified methods which have consistently worked through the years regardless of economy or marketing medium. We have taken these lessons we learned and the proven methods to formulate a working trade show strategy plan for a moderate budget, we refer to as Larson’s Larson’s Fast Track Multi-Touch Approach. It is the speed, the quality and quantity of your touches that make the conversion. 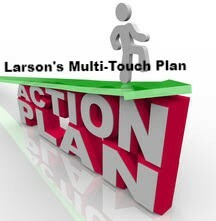 Larson’s Fast Track Mulit-Touch trade show plan look like? Touch 1 Day 1: Each day your staff either has scanned in visitor information or entered visitor information in by hand. Touch 2 Day 1: Email a thank you and specific show requested information. We want to get in front of them ASAP and send out any requested information with a link to a show landing page on show specials. 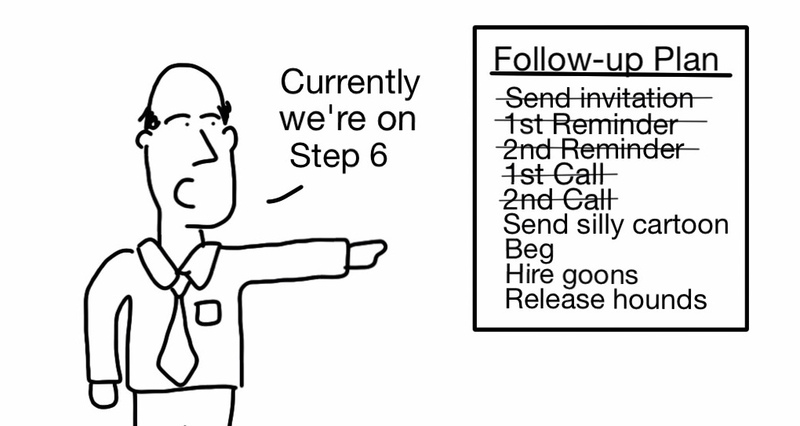 If you don’t follow up on your leads then you are as good as 69% of your competition. But if you want to be in the top 31% category make some kind of follow up. But only 11% did a superior job of following up. And those are the ones who make a profit off their trade show appearance. With those figures in your head, think what a difference a little bit of planning ahead to implement a series of quality touches could make.